Fungal infections of the skin and nails tend to be persistent, irritating infections with a high rate of recurrence. Treatment may be oral or topical and is frequently required for many months, as penetration of the drugs to the site of the infection is poor. Side-effects are relatively common, particularly with drugs administered orally. Hence alternative treatments are desirable. Infections include tinea pedis (also known as athlete's foot), tinea (or pityriasis) versicolor, paronychia (infection of the tissue surrounding the nails) and onychomycosis (infection of the nail). The causative organisms vary from case to case and site to site, but the most common causative organisms are the dermatophytes Trichophyton rubrum, Trichophyton mentagrophytes, Epidermophyton floccosum and Microsporum canis and the yeast, Candida albicans. Walker (1972) has reported the effectiveness of tea tree oil in sixty patients over a six-year period. Undiluted oil, a 40% solution of tea tree oil with 13% isopropyl alcohol and an ointment containing 8% oil were used to treat a variety of foot ailments. Treatment was applied for periods ranging from one week to up to two-and-a-half years, and a clearing of both infection and symptoms is reported in 63.7% of cases and improvement in symptoms in a further 33.3% of patients. 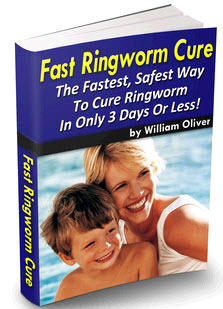 The symptoms which were reported to have been reduced included bromidrosis (foul-smelling secretions), inflammation associated with corns, calluses, bunions and hammertoes, scaling of nails in onychomycosis and symptoms and degree of recurrence of tinea pedis. Belaiche (1985b) also reports the effectiveness of tea tree oil in resolving infection of toe-nails in eight cases, with improvement of symptoms in six of these cases. However, both these reports should be considered anecdotal as they are studies of individual cases and do not include controls or comparisons to other treatments. Double-blind, randomised clinical trials have been carried out by Buck et al. (1994) and Tong et al. (1992). The former study compares the effectiveness of twice daily topical application of undiluted tea tree oil to that of 1% clotrimazole in the treatment of onychomycosis. Outcomes were measured at one, three and six months by culture, clinical assessment and the patient's subjective assessment. There were no significant differences between the two treatments by any of the above criteria. A full or partial recovery was achieved in approximately 60% of patients in both groups, with less than 20% in either group becoming culture negative at the end of the test period. This study is limited by the lack of inclusion of an untreated control group, but the authors do compare their results to those of studies of other antifungal agents. Cure rates compare favourably with agents such as ciclopiroxolamine, but the two agents tested were both less effective than others including naftitine hydrochloride gel and amorolfine. The effectiveness of tea tree oil as an antiinflammatory agent is also supported by the work of Tong et al. (1992). These authors compare the effectiveness of a sorbolene cream containing 10% tea tree oil to a commercially available tolnafate 1% cream over a four week test period. The study included a control group who were treated with sorbolene cream only. At the end of the study, all three groups had reduced symptoms, but the tea tree and tolnafate groups were significantly better than the placebo group. However, only 30% of the tea tree group had negative culture compared to 21% of the placebo group and 85% of the tolnafate group. It is possible that changes to the tea tree formulation might result in enhanced mycocidal activity, but there is no published data on the kill rate of tea tree oil on the fungi responsible for these infections. This is an area which requires further study. 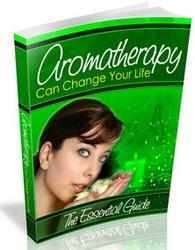 Everything you ever wanted to know about How Aromatherapy Can Change Your Life. We have been discussing Aromatherapy the ancient healing art and what it can do to change your life.